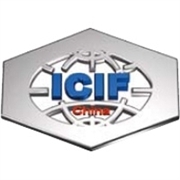 ICIF China is an international chemical industry fair and the largest scaled and the most authoritative event in the petroleum and chemical industry in China. It has committed itself to the mission of uniting China’s petroleum and chemical industry and facilitating its development. During the event a series of forums, seminars and conferences will be held to enrich the fair. At the same time, there will be an opening ceremony, a welcome reception and networkings with foreign delegations to make ICIF China more colorful.